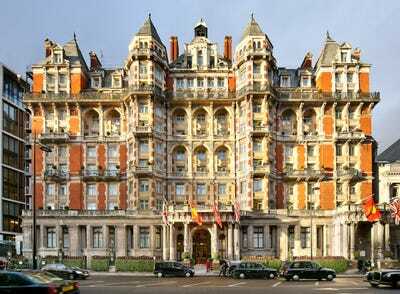 A huge fire broke out on the roof of the Mandarin Oriental hotel in Knightsbridge, London. Around 120 firefighters and police officers were called to the scene. There is no information on casualties or the cause of the fire at this stage. The luxury hotel recently underwent a £185 million ($US248 million) renovation. A massive fire has broken out on the roof of the Mandarin Oriental hotel in Knightsbridge, central London. Police were called to the five-star luxury hotel at 3:55 p.m. local time on Wednesday. Around 120 firefighters and police officers were called to the scene, and the surrounding roads have been closed. London’s ambulance service has also dispatched a response team. 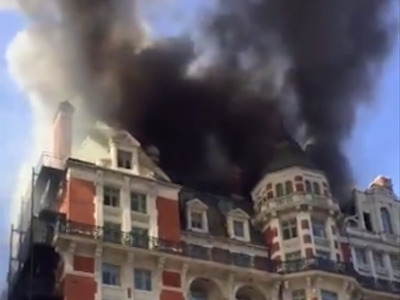 Eyewitnesses shared dramatic videos of black smoke billowing out of the hotel. The plume was “very visible across central London,” London Fire Brigade Station Manager Pam Oparaocha said. Anna Whiteley, a journalist at Golfing World magazine, tweeted around 4:30 p.m. that she had been evacuated to a nearby hotel, and praised “how well the evacuation operation [has] been put together.” She added about 20 minutes later that the fire appeared to be extinguished. There is no information about any casualties at this point. The cause of the fire is also not yet known, and firefighters are likely going to be on the scene throughout the night, the London Fire Brigade said. A spokeswoman for the hotel told Business Insider it could not immediately comment on the situation. Sky NewsAround 120 firefighters and police officers were called to the scene. The Mandarin Oriental hotel is known for its ritzy clientele, which have included Morgan Freeman, Lily Allen, and Middle Eastern royalty. It is also home to the gourmet restaurants Dinner by Heston Blumenthal and Bar Boulud, and a spa. It recently completed a £185 million ($US248 million) renovation. The newly-built Mandarin Oriental Penthouse, which has three bedrooms and its own private terrace, had been scheduled to open in July, according to the UK hotel industry website Boutique Hotelier. There are 181 rooms in the hotel. Room rates start at £600 ($US800) a night. 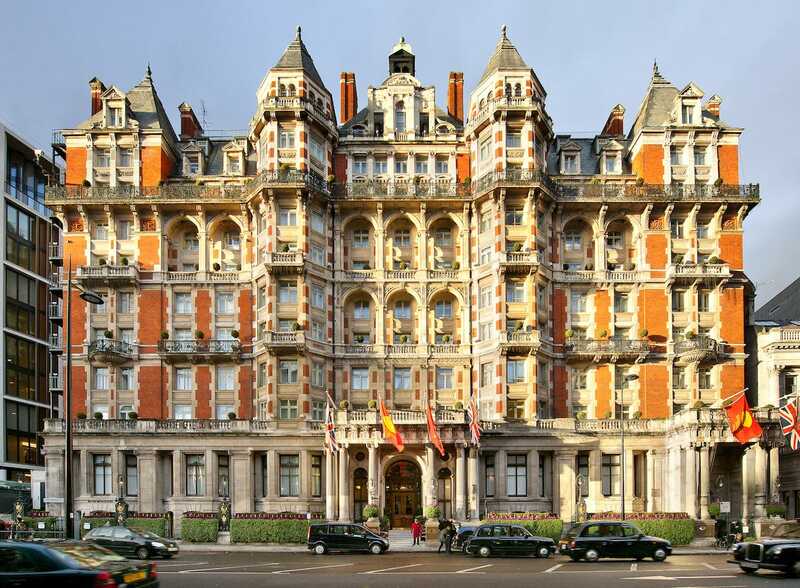 The hotel overlooks Hyde Park and is located less than a mile away from the Harrods and Harvey Nichols department stores, and Buckingham Palace. The Mandarin Oriental hotel chain, which is headquartered in Hong Kong, has outposts in major cities including New York City, Paris, Tokyo, and Singapore. Mandarin Oriental Hotel GroupA file photo of the Mandarin Oriental hotel exterior.